Excitement continues to build for the Research and Education Network (NREN) s of Malawi and Somalia as the countdown to the two NRENs connection to the UbuntuNet Network edges closer. The Malawi Research and Education Network (MAREN) and its counterpart, Somali Research and Education Network (SomaliREN) are expected to be the among the first new NRENs to be connected to the high speed research and education data network, UbuntuNet by the end of the first half of the year 2017 under the European-Commission co-funded AfricaConnect2 Project. SomaliREN’s imminent connectivity comes after the NREN paid its €280,000 Advance Payment in November last year under the wider Somali ICT sector support programme being financed by various development partners including the World Bank which is facilitating the NREN’s connection to the academic network while MAREN will also be connected after fulfilling some requirements under the project. In February this year, hopes for MAREN’s connection to the UbuntuNet network rose highly when part of the equipment for the installation of a Point of Presence ( PoP) in the country arrived at the UbuntuNet Alliance Secretariat in Lilongwe, Malawi. The PoP is expected to be installed in Blantyre with the NREN expected to order a minimum of an STM 4. SomaliREN CEO Abdullahi Bihi Hussein says his NREN is now laying the groundwork for in readiness for the landing of the link in Mogadishu. “The SomaliREN board met on January 6, 2017 where the board agreed on the location of the data center that will host the main PoP. As of now the NREN is ready to start the distribution of the STM1 in Mogadishu zone – the first segment of the envisaged NREN network,” said Hussein. 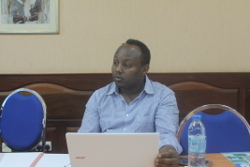 Apart from MAREN and SomaliREN, other NRENs that are expected to be connected under AfricaConnect2 include Madagascar, Sudan and RwedNet.